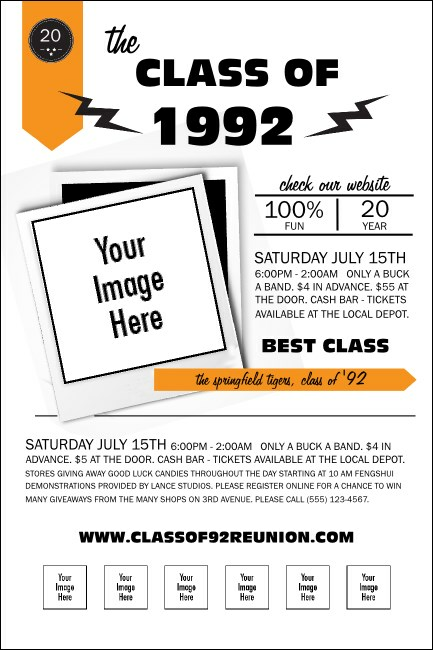 Print your way to a new class of awesome when you advertise your school reunion in advance with Class Reunion Mascot Orange Posters. Each Poster features as many as seven personal image uploads on a bright orange and white background, along with twenty-three lines of text for all your event details. Make any meet-up more meaningful at TicketPrinting.com.